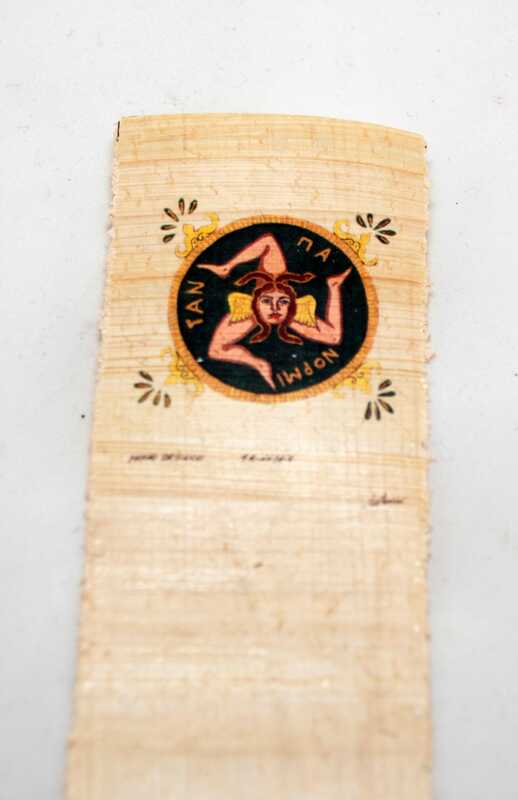 Traditional Sicilian Papyrus Bookmark "Trinacria"
Each piece from A Putia du Re is 100% handmade. This Papyrus paper was made in Syracuse, Sicily; every single sheet is signed by the artist. 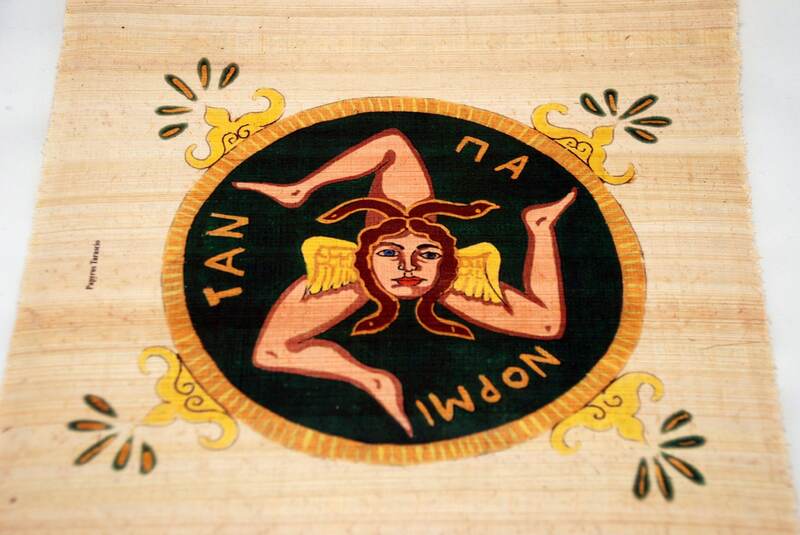 The one in this list depicts the "Trinacria", the symbol of Sicily since the third millennium BC. Papyrus paper was made and used in Sicily since the Greek time, about first millennium BC. It is great to have it during your favorite readings.